“SOUL FISH” HAS NOW TEAMED UP WITH LAUGHING STOCK PHOTO BOOTH COMPANY AND ARE NOW OFFERING FULL SERVICE PHOTO BOOTHS FOR YOUR EVENT! PARTY, RECEPTION, BAR/BAT MITZVAH, OR ANYTHING! PHOTO BOOTH FUN FOR ALL YOUR GUESTS! for pictures in a Laughing Stock Photo Booth. Because this exciting new booth is portable, it makes photo booth fun available in locations where a full size photo booth can’t go. Our traditional Foto Fun Strips can be customized with a graphic design or logo to help make the event more memorable. ------A fun experience for guests of all ages! ------Modern look and feel works with any décor. ------Custom graphics available for personalized events. ------Choice of three different outputs available. ------Photos can be used in scrapbooks, photo albums, and party favors. ------Photo CDs and DVDs available to commemorate the event. 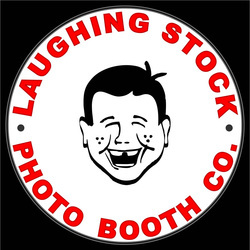 CALL TODAY TO RESERVE A LAUGHING STOCK PHOTO BOOTH FOR YOUR NEXT EVENT!